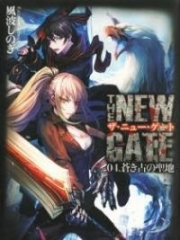 You’re reading novel Chaotic Sword God Chapter 1319: Family Conflict (Five) online at LightNovelFree.com. Please use the follow button to get notification about the latest chapter next time when you visit LightNovelFree.com. Use F11 button to read novel in full-screen(PC only). Drop by anytime you want to read free – fast – latest novel. It’s great if you could leave a comment, share your opinion about the new chapters, new novel with others on the internet. We’ll do our best to bring you the finest, latest novel everyday. Enjoy! Changyang Zu Xiao blocked Changyang Qing Yun, and as a result, Changyang Qing Yun’s face immediately darkened. His expression sank as he glared at Changyang Zu Xiao. 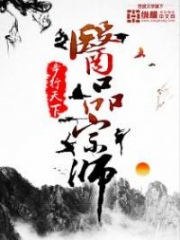 He had never expected him to arrive so quickly, and now that Changyang Zu Xiao was present to stop him, it would not longer be as easy for him to viciously punish the members of the branch clan. “Okay! Good! Very well! Changyang Zu Xiao, your clansmen of the Zu branch are getting bolder and bolder and more and more fearless. First you declared you would depart from the protector clan, then you work with foreigners to seal up the clan, and now you’ve allowed a member of the Zu branch to injure an elder of the Qing branch, heavily wounding Changyang Qing Shan. Do you really think that you can now look down on everyone else just because you have the magical beasts on your side and that you can provoke the dignity of our protector clan time and time again?” Changyang Qing Yun coldly questioned. A tremendous presence began to radiate from him as he spoke, forming an invisible mountain that crashed down on Changyang Zu Xiao. He showed signs that he was about to engage in a great battle with Changyang Zu Xiao. Changyang Zu Xiao’s face remained the same. He stood there unmoving, like an ancient tree rooted firmly to the ground. He had truly reached Great Perfection now, having reached the apex of Saint King. He was at the same level as Changyang Qing Yun now. “Qing Yun, we all know exactly what happened, so quit spouting lies. You asked for everything that happened before. If you didn’t l.u.s.t over the Saints’ Fruit and attempt something so condemning, would any of those things have happened later on? I’d like to ask you instead why has Changyang Qing Yun become injured. Why have your people of the Qing and Yuan branches appeared here?” Changyang Zu Xiao emotionlessly replied. He was very disappointed by the actions of the two branches. “Great elders, we have appeared here because we wanted the people of the Zu branch to return to our protector clan. Although our clan is divided into three branches, we were all connected with one another. We were one big family, so if we split just like this, it will enact a heavy loss on the clan. Our generation would become eternally condemned. How would we be able to face our ancestors after we pa.s.s away? We never thought that we would be provoked by a mere servant right when we arrived here, which Qing Shan was then heavily injured by a quaking thunder from a member of the branch clan. If we hadn’t interfered, we would have never been able to see Qing Shan again,” Changyang Qing Yi said. He spoke in a righteous manner in the beginning, before immediately becoming sorrowful when he mentioned Changyang Qing Shan. He blamed the people from the branch clan. “Cut the bullsh*t, it was you who injured uncle Chang first…” Changyang Ba loudly retorted. He was extremely confident. Although the great elders of the two other factions were present, he felt no fear at all. At this moment, Chang Wuji flew over from afar in a tottering manner. He was covered with blood and his face was pale. His injuries were just as heavy, almost falling mid-flight several times. The group of people in the clan cried out in both sorrow and joy. They felt sorrow for uncle Chang’s injuries, but they were joyful over the fact that he was still alive. 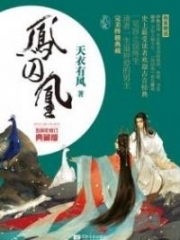 Changyang Zu Xiao waved his hand and a vast amount of energy in the surroundings immediately gathered, gently wrapping around Chang Wuji and delivering him into the clan. He gently said, “Heal first. With me here, no one will be able to harm a single one of you.” Although Changyang Zu Xiao spoke very softly, his voice was filled with dominance, causing Changyang Qing Yun’s complexion to become extremely horrible. Chang Wuji politely bowed to Changyang Zu Xiao before immediately sitting down to heal. Bi Yuntian began to use her abilities as a Radiant Saint Master beside him, but since her cla.s.s was not high, the effects were not as obvious on a Saint Ruler like Chang Wuji. Changyang Ba also shoveled large amounts of Radiant Spirit Pills into his mouth from his s.p.a.ce Ring, immediately causing him to be enveloped by a thick layer of Radiant Saint Force. They were Cla.s.s 6 Radiant Spirit Pills. Jian Chen had made a large box of them before and had given them all to his family. 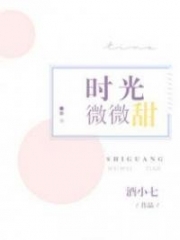 “You’ve already injured Changyang Qing Shan regardless of everything. Changyang Zu Xiao, you have to give me an explanation today, or I swear that I will not step down over this matter,” Changyang Qing Yun coldly responded. He did not give in at all. The protector clan had been humiliated and this could not continue. Otherwise, they would not even be able to show themselves before the other organizations of the continent. “Changyang Qing Yun, I don’t fear you. You may have more Saint Kings than us, but if we do end up fighting, we’ll both suffer heavy casualties. Leave and never come back,” said Changyang Zu Xiao nonchalantly, but his words became exceptionally unpleasant when Changyang Qing Yun heard them. Not only was it a threat, he was looking down on them. Changyang Qing Yun became utterly furious and his hair began to wildly dance about, like an angered lion. He laughed aloud, “Heavy casualties? Changyang Zu Xiao, aren’t you overestimating us a little too much? I’ll show you exactly how I will defeat your clansmen of the Zu branch today.” Changyang Qing Yun immediately departed through a s.p.a.ce gate after his sarcastic remarks. Several Emperor Armaments were stabbed into the ground in Mercenary City. They were of all different shapes and sizes, but all of them radiated with a pressing presence without any exceptions, enough to cause Saint Kings to s.h.i.+ver inside. The Emperor Armaments were all clan treasures of the protector clans. They had placed them there without any fear of them being stolen since the weapons could only be controlled by a member of the clan. 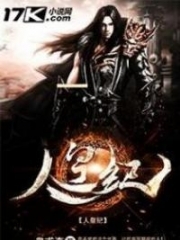 Changyang Qing Yun returned to Mercenary City in a mighty manner and used a secret technique to draw the Emperor Armament of the Changyang clan. Afterward, he departed through another s.p.a.ce Gate, alerting all the Saint Kings and causing them to glance over. “What is Changyang Qing Yun doing? Has something happened with how furious he seems?” The grand elder of Mercenary City muttered in doubt. Many people had similar thoughts. As that all happened, Changyang Zu Yunkong sat within a mountain in a vast mountain range far away. The powerful and pure energy around him pulsed, causing the surrounding s.p.a.ce to gently tremble. Changyang Zu Yunkong’s figure distorted in and out of obscurity within the cave. This was not only because of the distortions in the surroundings s.p.a.ce, but he had also truly fused with the s.p.a.ce there, becoming one with it. His comprehension over the mysterious of the world and his grasp over Spatial Force had reached a completely new level. It was undergoing a qualitative metamorphosis. 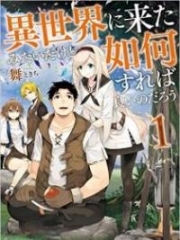 You're reading novel Chaotic Sword God Chapter 1319: Family Conflict (Five) online at LightNovelFree.com. You can use the follow function to bookmark your favorite novel ( Only for registered users ). If you find any errors ( broken links, can't load photos, etc.. ), Please let us know so we can fix it as soon as possible. And when you start a conversation or debate about a certain topic with other people, please do not offend them just because you don't like their opinions. 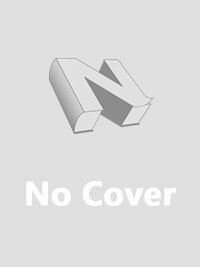 You're reading Chaotic Sword God Chapter 1319: Family Conflict (Five). This novel has been translated by Updating. 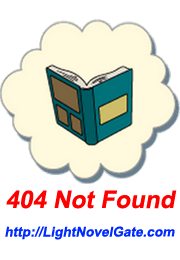 Author: Xin Xing Xiao Yao already has 4159 views. Current Time is Apr-18-2019 18:45:07 PM.